Dennis Lopez joined QuadReal as Chief Executive Officer in June 2017. He is responsible for the leadership of the company’s professionals and its global investment and management strategy. His mandate is to grow and diversify the portfolio and to ensure that QuadReal continues to deliver peerless service to its tenants and residents and strong returns. A seasoned real estate investment professional, Dennis brings a strong international outlook and deep relationships with global real estate leaders to the QuadReal team. He has 30 years of industry experience in real estate acquisition, development, M&A, financing and investment trusts, and has worked in the Americas, Asia and Europe. Until May of 2017, Dennis served as the CIO of AXA Real Estate, the fifth largest global real estate investment manager. Based in London, Paris and New York, he worked with his team to approve over $80 billion in acquisitions, sales and loans during his tenure at AXA. Previously, he held senior positions in international real estate, including serving as the CEO of SUN Real Estate Group, a private equity firm where he oversaw major investment projects in emerging markets. Dennis holds a BA in Business Administration from California State University Long Beach, and an MBA in Finance from the University of California Los Angeles (UCLA). 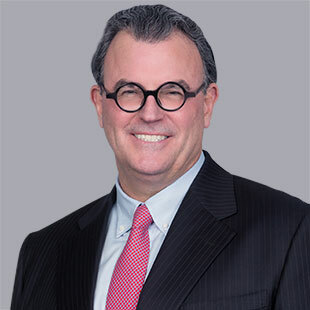 He currently holds several board and industry memberships, including a board seat with American Campus Communities, and memberships with the Real Estate Round Table, the Urban Land Institute and Zell Lurie Wharton Real Estate Center. Dennis is based in Vancouver, at QuadReal’s head office. In joining QuadReal, he is excited to work with and lead the QuadReal team in its mandate to become a leading institutional real estate investment firm – with properties in Canada and around the world.